If you're into dinosaurs then grab this live wallpaper now and interact with many types right on your Android. 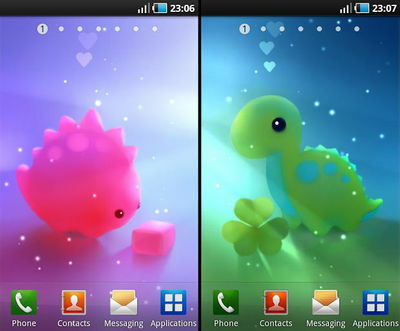 Mini Dino by Apofiss will make your homescreen pop with colors and cute little dinos that come alive as you touch them. The app also features many environment choices. Each setting is unique and delivers a magical atmosphere filled with animated lights and fireflies. 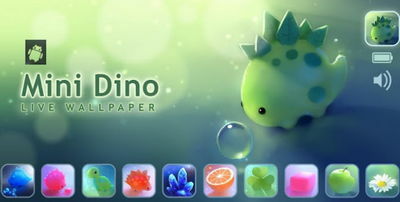 Mini Dino Live Wallpaper offers dinos that sleep, are squishy, make cute sounds and you can wake them up or even pet them! Lots of customizations, themes and items to combine!